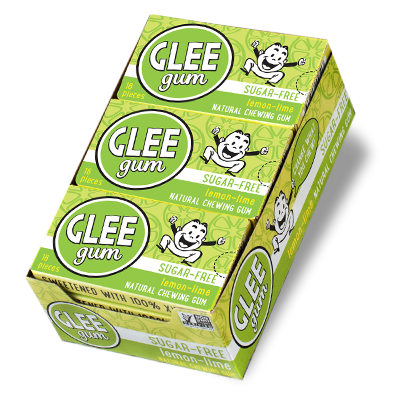 Sweetened with 100% xylitol from American birch and beech trees. 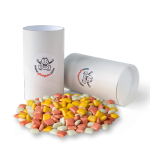 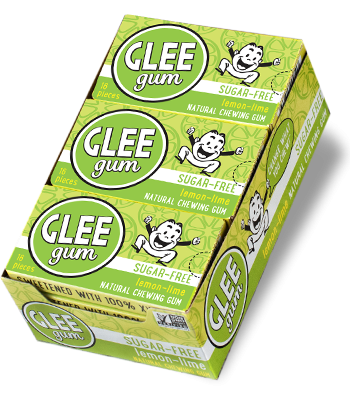 INGREDIENTS: XYLITOL, GUM BASE (CHICLE, CALCIUM CARBONATE, CANDELILLA WAX, DEHYDRATED CITRUS PEELS), GUM ARABIC, NATURAL FLAVORS (LEMON, LIME), RESINOUS GLAZE, BEESWAX, CARNAUBA WAX, BETA CAROTENE AND CITRIC ACID. 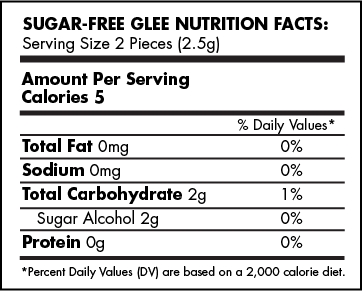 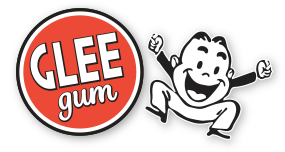 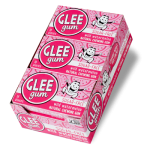 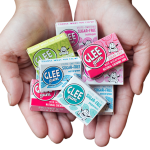 Sugar-Free Glee Gum is sweetened with 100% xylitol from American birch and beech trees. 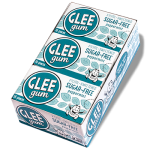 Xylitol is a safe alternative to artificial sweeteners and benefits dental health.